Help with the Design of Your Kitchen Renovation in Long Island from us. 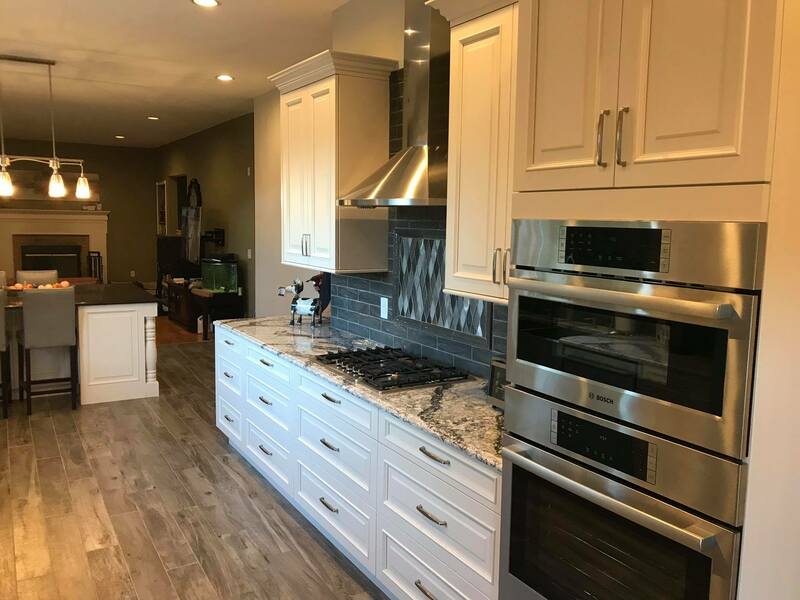 If you are going to have your kitchen remodeled, you likely don’t want to just hire someone to come in and handle everything from start to finish. Your ideas, wants, and needs are essential for ensuring the end results are something you will be happy with. Unfortunately, many design companies are more interested in getting the job done fast than actually listening to their clients. Our team, however, always puts your needs first and is more than happy to work closely with you throughout the design and remodeling process. When you work with our team, you can be as involved in the design process as you would like. Many of our clients will want to leave the ‘behind the scenes’ types of decisions to us, but then decide on things like what type of appliances, the floor design, and much more. This is a great setup since you won’t have to worry about every little thing, but you’ll also have direct control over those things that matter. If you would rather be involved with everything, however, that is perfectly acceptable as well. If you are making all the decisions on your kitchen remodeling project, you don’t have to feel abandoned or left alone. Our team will be there to offer advice and answer questions every step of the way. For example, if you are trying to decide between a natural stone countertop and a concrete countertop, we can outline all the pros and cons of each so you can make an informed decision. Our team can also step in to make suggestions that you may not have considered at all. Our only goal is to ensure you are entirely happy with the end results, and we’ll do whatever it takes to achieve that goal. If you are going to be using tile for your countertop or backsplash, it is a fun idea to come up with a custom design that you will love. This is also possible for tile floors, paint on the walls, and much more. Having your own custom designs will really help to set your kitchen apart from everyone else in or around Long Island. Designing your own custom solutions is a fun option that many people really enjoy. You don’t need to be an expert in kitchen designs to get the results you want. You can provide a picture of what you have in mind, or even a drawing, and in most cases our team will be able to take it from there and make your dream into a reality. Whatever you need, our team will be there to support you and bring it to life. We don’t want to be seen just as a team of contractors who you are hiring to do the physical work. We want to partner directly with you to make sure you are getting the exact results you desire. We treat every client as if it were a family member, and are willing to go the extra mile to ensure your satisfaction. To get your kitchen remodeling project started, please give us a call at (631)-836-7579.